Virginia Reel was a gift last year to a new grandmother. I traded the blocks with Houston friends several years ago intending to alternate them with another pattern such as Hourglass. (The border pieces were originally cut for the hourglass block.) But none the layouts looked right and the blocks were hidden away. 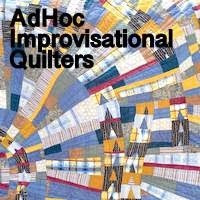 When they resurfaced the quilt flowed easily. It just needed the right occasion. 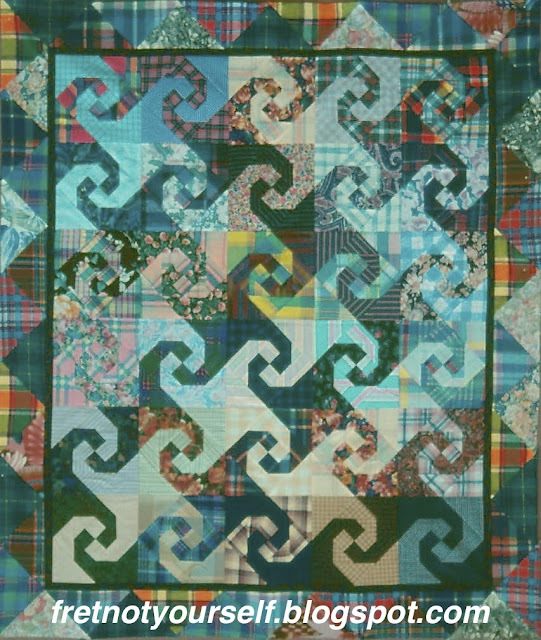 This quilt is made of madras plaids, stripes and florals. I remember we had trouble getting the blocks to size correctly. They were uniform but slightly smaller than the mathematical measurement indicated. It would be a good candidate for paper piecing. I learned a lot from this trade. The center block with yellow taught me that fabrics within a block don't need to match. The pink and blue block on the left side taught me fabrics can match too much.